Because sustainability is cool… these straws come 3 in a handy carry case with included cleaning brush! One of the hardest things about starting the KETO plan in the summer of 2018 was seeing and watching everyone else eat the abundance of juicy, sweet, fresh and delicious local summer fruits and even vegetables that did not have a place on my plate. Where usually I’d be indulging in grilled corncobs with salt, ground pepper and lime juice. Or the sweetest of summer berries that I hand picked at the local berry farm. Or juicy watermelon that’s so filled with good tasting sticky sweet pink juice that streams down your arms when you bite into it… No, I was left carefully weighing out my “low-carb” vegetable options instead! Missing out on all the amazing summer produce made me think that the plan would be much better suited to the cooler months of the year, the “hibernation” months of the year here in Canada. But sadly, those months are also the months when I’m craving comfort foods such as starchy vegetables roasted until sweet and tender, warm bowls of steamy noodle soup and spicy curries over soft, fluffy steamed rice… all of which are also NOT included on my KETO-eat-this list. Before we continue, a word on extreme diets. Restrictive eating plans can severely limit your nutritional options and leave you lacking needed vitamins and minerals. They can also lead to negative eating patterns, eating too few calories and an “all or none” mentality. Luckily you don’t have to worry about me not eating; I just like food too much to not eat it! But for people with a history of eating disorders, I would not recommend trialing this type of plan without the supervision of your doctor. The Keto plan is very restrictive compared to the average North American style of eating and in an effort to keep things simple and stay on track in the easiest possible way, I kept my meals to a fairly basic rotation of spinach salads with various low-carbohydrate toppings or steamed vegetables with a lean protein. It’s a sad day when you start to feel like an extra stalk of broccoli is a treat! Fast-forward to today, it’s almost a year since I embarked on this journey. It’s been the ultimate self-experiment I’ve conducted to date. Coming up, I’ll outline my basic (trust me it’s basic) daily meal plan and list the most common low-carb foods that I’ve stuck with. I’ll also run through a few pros and cons that I’ve experienced thus far and give you the honest run-down on to-KETO or Not-to-KETO! There’s really SO much I could say about this experiment, but in trying to keep it short for you all (we only have so much time in a day, right!) I’m going to give you the brief version. I wanted to try this because I had heard that people experienced increased energy and no afternoon slumps eating this way. I wanted more energy, I always felt tired and flat, especially in the afternoon between lunch and dinner. I’ve also read that it can potentially be a cancer-prevention diet; help with Type 2 Diabetes and also prevention of Alzheimer’s. It was a steep learning curve in the beginning but now I’m fat-adapted, it’s actually easy to get the required amount of fat into my day. When I first thought of eating 80% of my daily calories from fat, I laughed to myself and thought it never would be possible without constantly feeling sick to the stomach. I was absolutely fat-phobic! You see as a classically trained fitness trainer and nutrition counselor, I had always tried to keep my total daily fat intake to 30g or less… nowadays I’m eating upwards of 130g. That’s a 400% increase! Since I started eating this way I can say “we” because my husband has also joined me on this keto diet journey and his success has been amazing with over 12lbs body fat lost to date! He is by no means a large person either… he went from 164lbs - 152lbs and still counting down on the scale! My direct family (in-laws) also directly cut down on refined and processed carbohydrate foods immensely. Breakfast: Vegetable smoothie made with frozen cauliflower, zucchini, ice, coconut milk and collagen protein powder. Dinner: Steamed veggie bowl with lean protein – base of broccoli stem shreds, zucchini, asparagus, broccoli, and cauliflower. Topped with lean chicken, turkey, beef or lamb. Olive Oil, chilli oil and homemade mayo, salt and pepper. Snacks or treats: Pork rinds, coconut fat chocolate, fat bombs, keto cookies. Even though we went all-in at 100% changing the way we eat to a ketogenic diet, we knew it would take time and we didn’t expect to see any huge changes overnight. My increased energy took around 2 weeks and I suspect that was about the time it took for my body to convert to Ketosis (fat-burning metabolism) rather than the body’s traditional carbohydrate metabolism. When embarking on this lifestyle change, what is important to realize is that your body will resist the change! It is human nature to want to stay on carbohydrate metabolism mechanisms. Genetically we are wired for it! It’s easier for fast fat storage and survival and our bodies want us to be addicted to sugar because it’s easily converted to fat that can be stored for times of need. Would you believe me if I told you that it’s our genes making us fat! Well they are! But ultimately WE are in control, WE can dictate how we eat, live and thrive in this life! I truly believe that there is no ONE perfect way for everyone to eat, and sadly there is no diet trick or quick fix. What I can tell you is that you should at least try it. If it resonates with you and the way you like to live then you will be able to sustain that lifestyle and you will have results. But by no means should you feel that you HAVE to, you don’t have to do anything. If you’re happy and the way you eat works for you, then great! Don’t worry about what others say, it’s how YOU feel and if YOU love it, then do it! But if you are looking for a change, try clean keto with an open mind. Research the heck out of it for your self or find a coach that can tell you everything you need to know and hold your hand on your journey. Whether you keep going or you move on to something else, (there are SO many choices out there) it doesn’t matter to me or anyone else for that matter. It’s how YOU feel and if YOU love it, then do it! My journey was not without skeptics, haters and naysayers. I had plenty that I originally would contest with and try to justify my choices to. In fact I didn’t tell that many people I changed the way I was eating. My reality was, I’d done the research, the reading, looked into the clinical papers and findings; I had seen the positive results that others were enjoying and I wanted to really try it for myself. In attesting to that notion, if anyone asks me these days I’m certainly not shy to say I am fat-fueled no longer fat-phobic and I’m happy with all my newfound energy too! Looking for an awesome hostess gift? I’ll be gifting all my friends the prettiest sustainability here! January 1: New Year, new RESOLUTIONS! Let's do this! Does this sound familiar to you? Well I want to share with you my recent experience with juice detoxing because it may just change your life! 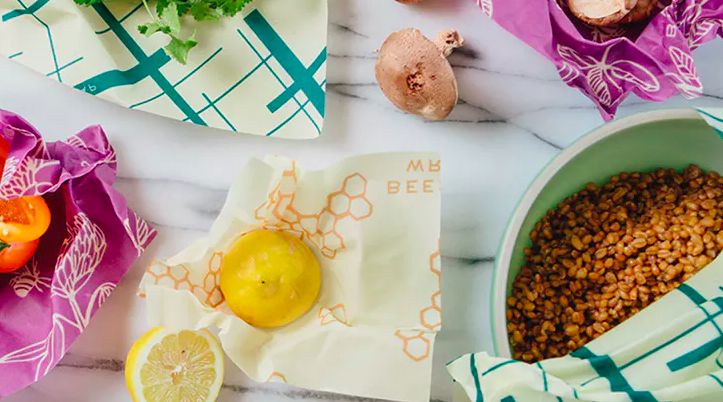 Fasting, detoxing or cleansing are not new concepts, but this time of year they do become a hot-topic for many people who are motivated to get back on the health and fitness wagon and are excited about getting in shape. Health goals are high on many resolution lists come January 1st, but how many times are they left hanging on the page and never acted on! Over the past 5 years I’ve done a twice yearly “elimination detox”, once in the spring and once in the fall. I call it the 20/20 and I’ve always loved the results. (I can go more into that on another post if you all want the details just leave a message in the comments section below.) BUT this time around I wanted to try something totally different. It’s good to mix it up sometimes! Thanks to the talented juice masters at La Station Organique (check online for availability and ordering) I was able to trial a 3-day pure juice cleanse. The juice is cold-pressed, organic and made with only the best ingredients. If you're local to Montreal, it's also delivered fresh to your door! For each day of the detox there are 6 juices labeled #1 – #6 and it’s recommended they be enjoyed in the order marked for best benefits. It is also recommended that you drink at least a glass of water between each juice to help flush out toxins and impurities in your body cells. Keeping in mind that you are only consuming the juice provided over the 3-day period along with the water; no food, no snacks, no meals… as a food-lover, foodie and gourmand I was kind of freaking out. I didn’t really know what to expect and my head was filled with questions like: What will happen to me? Will I have headaches and low energy? Will I become some crazed HANGRY zombie-like monster attacking my family for their food? OMG no! Road-trip-ready as each bottle is securely sealed and perfect for taking on your next trip. No more gross, greasy roadside drive through fast food! But you know what... I was not hungry, I was FULL! Yes, full! Each bottle was different, I could taste the handcrafted blending of ingredients, each individual bottle with purpose for my body was delicious and refreshing and I looked forward to the next. My favourite, though it's really hard to choose, was #6 made with Cashew, cocoa, flax, date, sea salt and filtered water. So creamy... mmmmm, yumm!!!! Not only did I enjoy all of the above results, but I was also giving my digestive system a well-earned break. At this time of year, we can all admit we over indulged over the past month… so why not give a 3-day juice detox a try and come out on top of your game in just 3 days! La Station Organique online and soon to be a cafe too! Let’s think about the word that describes this technique for a few brief moments… “micro” meaning small or tiny and “blading” meaning cutting with a blade. Scary right? When I first heard about this relatively new process I was somewhat intrigued, much like my husband initially didn’t believe that tattoos were made with needles, I also didn’t believe that someone would be “cutting” into my face. Sounds kinda like a scene out of the movie Chainsaw Massacre but seriously I needed to try it to believe it and the results? Well those speak for themselves! So, read on my friends because I’ve bravely taken the leap of faith for you and I think you want to know more about why Microblading has recently become the hottest thing to hit the beauty scene! Picture this; I’m sitting in a small French café sipping my matcha latte while I wait for my girlfriend to arrive for our catch up date. As the front door swings open I look up to see her; what do I see first? Not her long silk coat flowing effortlessly as she walks, or her over-the-knee boots perfectly highlighting her Jo-Lo like thighs and booty… no, it was her full, dark brows that perfectly framed her eyes! The brows were amazing, I couldn't tell that she had work done to them, but I wanted to know her secret to full brows like those! Yes, brows are the new lashes and I was in LOVE! Fast forward to now. It’s been a few months since I had my brows Microbladed… did my hubby notice? Not one bit! But do I wake up every day thankful for my full and thick looking brows with their perfect arch? Indeed and especially as a Mom of a toddler I have literally NO time for a morning make-up routine. Probably what I love most is that I know I don’t have to do anything to my brows. I can swipe on a line of eyeliner and look like I’ve made an effort (see example image below) and when I’m really having a good day, it’s like the eyebrows are the perfect cherry on the top of my sundae. I’m not going to tell you that these are magically painted on your face. The process is not without a certain amount of pain, but it’s minimal and definitely tolerable. When the result is upwards of 12 months of NEVER needing to fill your brows, it’s worth considering. Because it’s lots of hand made feathered lines, the look is super realistic and I have never once had anyone ask me if I have had my brows worked on, they are that natural looking! Another great thing about Microblading is that it’s a semi-permenant makeup process so if it’s not for you or you simply don’t love the result, then the dye will be gone with in a year. That being said I think once you try it, like me, you may just be hooked. When I went to Academie EB Celine Nantel took such time to find the perfect shape to complement my face shape and the shape to work with my current brow hair lines. It was such a personal and tailored process that I knew I was going to be happy with the result, I was totally at ease despite the unknown. 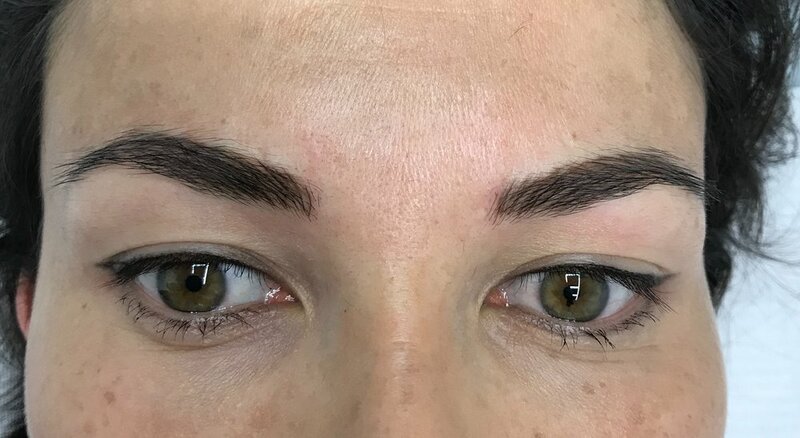 You can see my before and after pics below and keep in mind that the technician you go to for your Microblading really needs to be talented, it’s a form of art just like tattooing! Our little secret though, you can find Celine Nantel at her new Dermopigmentation Centre Academie EB here. Shhhhh… don’t tell too many friends, ok! Four weeks after your initial session where your brows are personalized, you'll head back for a touch-up session (included) that allows you to fine tune your brows even more. If you want fuller still or even a little darker, it's ok! In the gallery below you can see my final results after the touch-up session, A.M.A.Z.I.N.G! Special thanks also to ATOU Lifestyle for collaborating on this post! 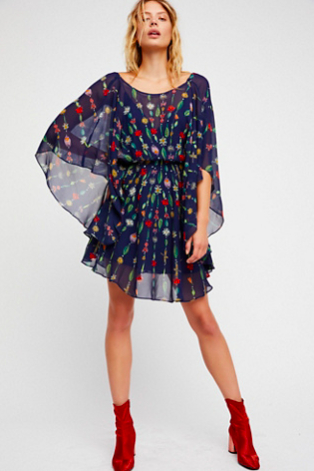 How can we be coveting fall fashion already??? Ummmm yes please! Check it here. Portable hydration that looks pretty, here.